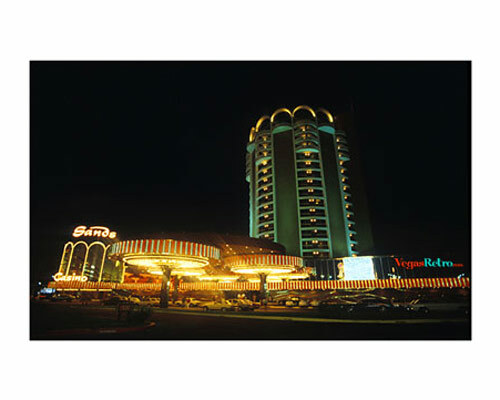 The seventh resort to be built on the "Old LA Highway", now called the Las Vegas Strip, the Sands Hotel's slogan was "A Place in the Sun". Opening in 1952, one of the principals was show producer Jack Entratter whose close ties to Hedda Hopper, Walter Winchell and Luella Parsons helped make the Sands Hotel the meeting place of the stars. It eventually became Frank Sinatra's home away from home for nearly two decades.